Secretly, slyly, she moved towards the side of the building, the cold and clammy bricks rough against her back as she tried to stay inconspicuous from the crowds of people passing by. Look left, look right. She opened the swinging doors. No bell jingled. Stealthily she took a lift to the 8th floor, heart thudding now in anticipation, the pristine marble mocking her every move. Ping! She started from the elevator’s chime. She had arrived. The piano was playing. There was a classy air swirling around her. She saw the tables, sumptuous in their glory. It was time to start her work. Classy ambience, Elton John music being perfectly played on the piano. An air of sophistication. Plush chairs, beautiful interior. Chandeliers. That is how you feel when you walk into the wonderful Crossroads Bar of this hotel for their daily Afternoon High Tea. 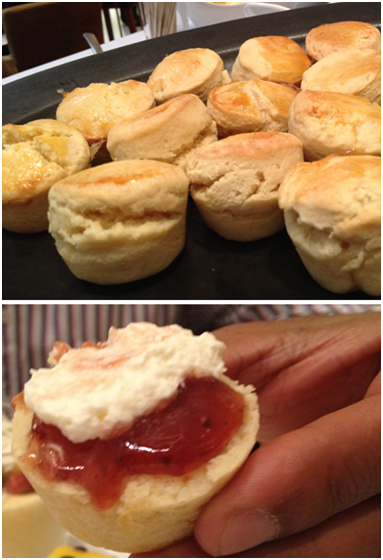 If you will recall, I mentioned having my own high tea at home but this was the real deal experience. Sparkling wine at its finest! First stop was savouries, no doubt we were going the usual meal way. What a selection! 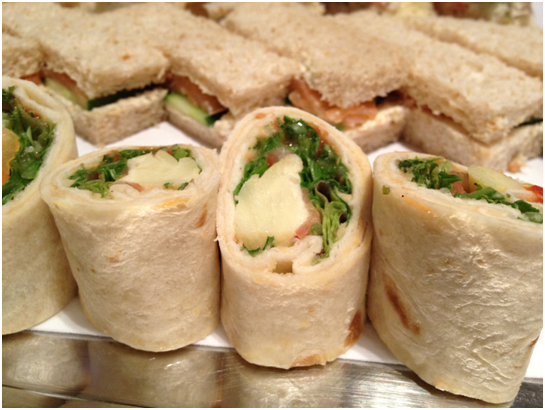 A range of mini sandwiches including delectable cheese and tomato, ham, egg, chicken pate and I do believe one may have contained spinach. But I bypassed these perfectly cut, crustless multi-types-of-bread beauties for some hot food. Different breads, fillings, shape cuts and all crusts gone! 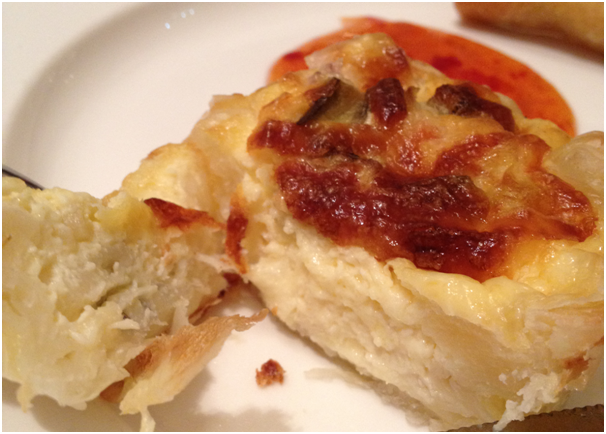 I did however eat the quiche which I could not take so much egg in but for quiche lovers it was heavenly. A slight cheesy aftertaste, perfectly seasoned and smattered with delicate pieces of tomato and herbs. 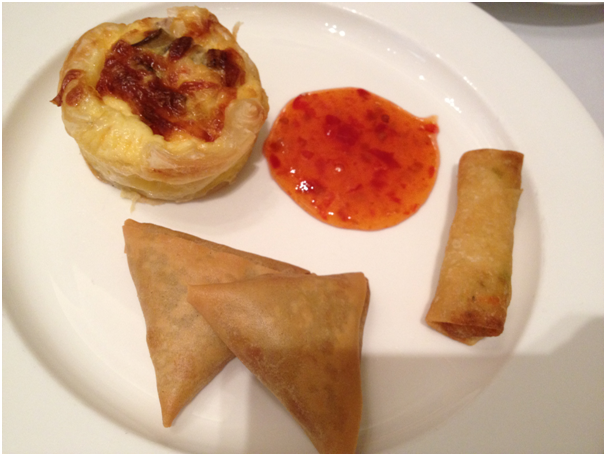 My personal weaknesses were the vegetarian springrolls and the mini samosas. Small crisp fried pieces of Asian goodness filled with potatoes and peas, these were addictive served with a drop of sweet chilli sauce. 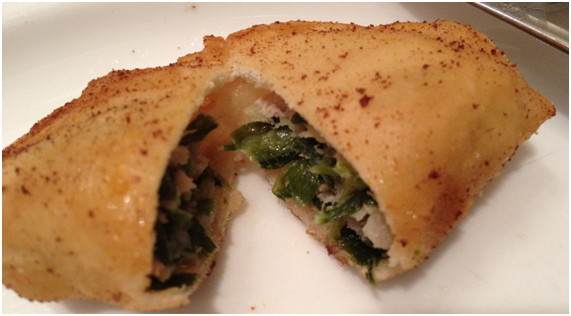 It was unfortunate that after the springrolls had finished (maybe this can be blamed on us ;)), they served a chewy fried pastry containing spinach and cheese filling with a horrible aftertaste! And it looked so good! Now let us move on to what you really want to hear about. The dessert table. We had a quick stop at the coffee and tea station for my parents (though apparently the coffee was repulsive) and a juice stop for me, then relaxed at our table, enjoying the backdrop of Swiss mountains and a train ride which is offered through it before hitting the jackpot table. Chocolate fountain, cakes galore, mini pastries, muffins, custards and more, it was overwhelming but one step at a time was the only way to go. Next, a sweet and dense mini muffin with the distinct taste of almond meal which added to its texture. 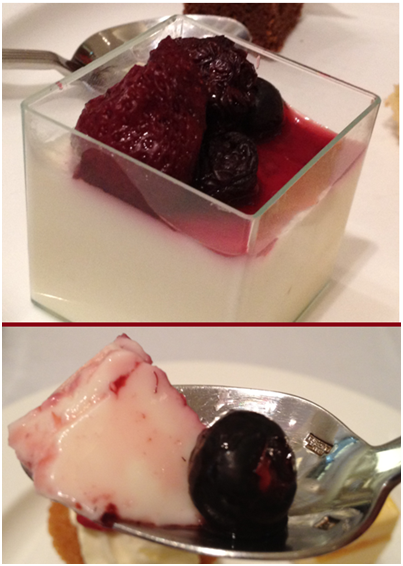 It had the most delicious flavour and with the addition of the occasional berry, bursted in your mouth. 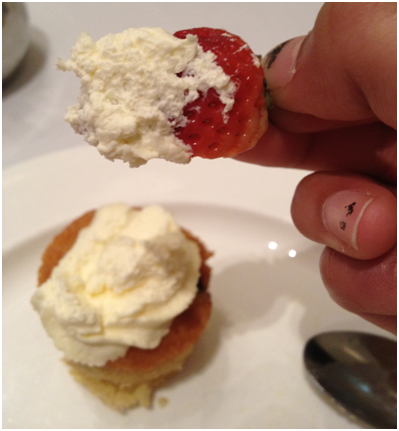 The only let down was the whipped cream, which lacked flavour and sweetness (unlike this whipped cream) so therefore I methodically removed it from every dish I tried. 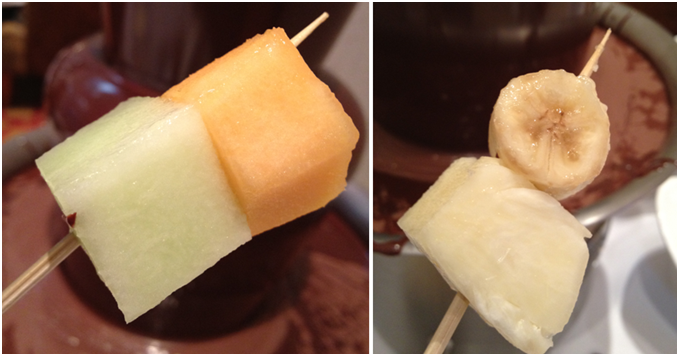 One of my weaknesses came in the form of a very tropical creation. Thin layer of super soft sponge cake was the base for a creamy passionfruit mousse (sans seeds), a layer of mango jelly, some more mousse topped off with a passionfruit glaze. It was light but actually perfect in proportion and taste. There was also the white chocolate rocky road which I shared with my dad (though mind you, I have a bottomless pit!) and it was like biting into a chocolatey version of a white christmas slice! Chewy marshmallow and delicious pistachios and glace cherries melding into one! The chocolate fountain while perfect for me, was a major let down for my poor parents. I recognised the taste immediately as approximately 70% dark chocolate (probably Lindt Excellence due to the familiar taste) and they both detest dark chocolate. I think, milk chocolate would have been more appropriate to entice a greater audience but I wasn’t complaining. Dipping in the fruits, enjoying the swirling and twirling, it was a definite highlight for me! 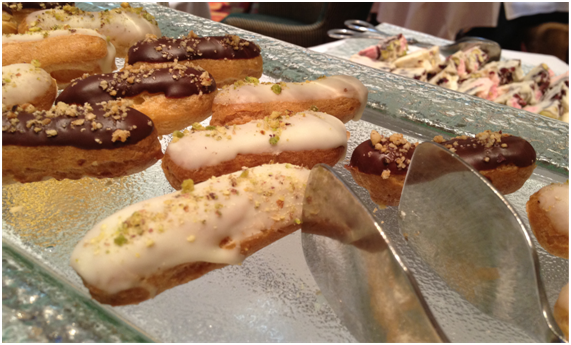 Mini eclairs – possibly the cutest dessert their with a delectable pastry cream inside but the choux pastry itself was tough unfortunately! Let’s wrap this undercover review now shall we? Extremely slow refillment – I had to ask for marshmallows since they were all out for the chocolate fountain. Not cool. And some people did not even get to try the cakes because they assumed no one was refilling them! 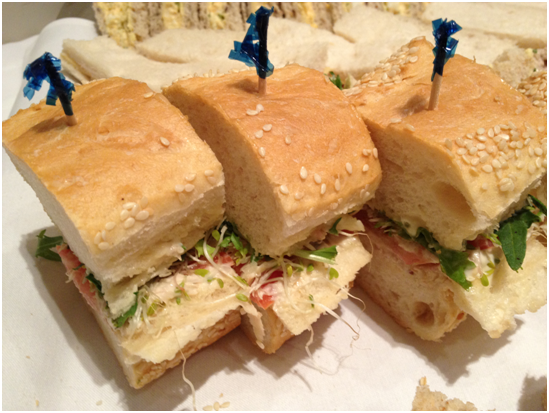 Overall Rating: 8/10 – I would love to go again with friends and enjoy losing myself in all the food and ambience! 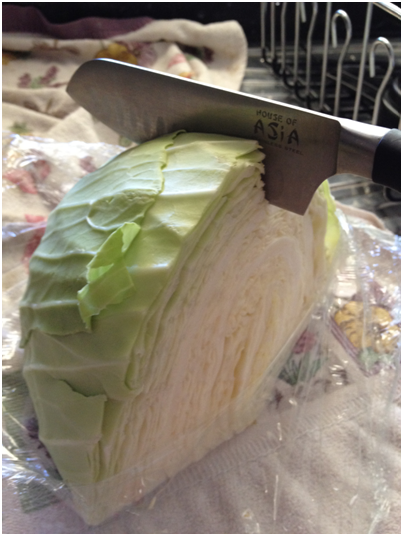 *Note: To cut them so finely, I used an electronic salad cutter which saves so much time! 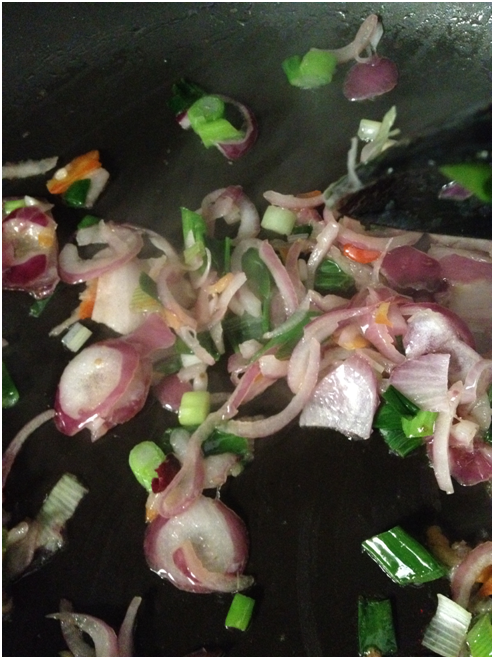 Add in remaining vegetables and garlic paste if using and stir fry together for 3-4 minutes. Set aside and turn off heat. P.S Thank you to everyone who has so kindly awarded me – I will be posting about it next time 🙂 – You are all too kind! I always enjoy reading about food review… =) If someone is standing in front of the chocolate fountain for a long time, it would be me! LOL. Your review of all that good food has made me hungry! I love any buffet that has the chocolate fountain. You can never get through the rest of the food fast enough ! Great review ! Oh how I wish I could sit and have breakfast with you. We could eat those delectable pancakes, drink coffee and discuss self-hosting. What fun! I have no opinion on the whole blog thing. I have been trying to decide on self-hosting too and haven’t come to a conclusion yet. You and I could totally travel (and EAT) together very well Uru 🙂 Thanks for the reviews!! Very honest and useful review! 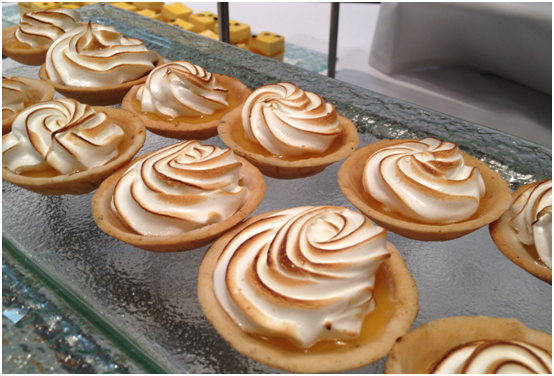 Am attracted to the dessert section especially the tartlettes. Awesome chowmein too! In my state, kids can legally have a drink while dining out with their parents… In any case, it looks like you had quite a feast! WOW! Congrats! This IS exciting! Beautiful pictures of very mouth watering food!! That chocolate waterfall looks absolutely beautiful amongst all the yummy desserts!! Look at you, all undercover and sly! What a fabulous review. So many wonderful foods, so many choices. This was great! Brilliant sleuthing detective CCU 😉 Love the way you wrote your post and review…very captivating and informative. Adding the pros and cons is also a plus. If every I make my way to Australia, I’ll be checking your restaurant reviews over again. Thank you for your sweet note on my anniversary post 🙂 You’re such a sweetheart! When I dine out, I am usually undercover too 🙂 I am not telling the owners thatI am a blogger for the sake of review, and I really want to see the service from a customer perspective! love the review! and that chow mein looks delicious! definitely need to try! What a fun day you had! The chocolate cake with raspberries would be my pick! 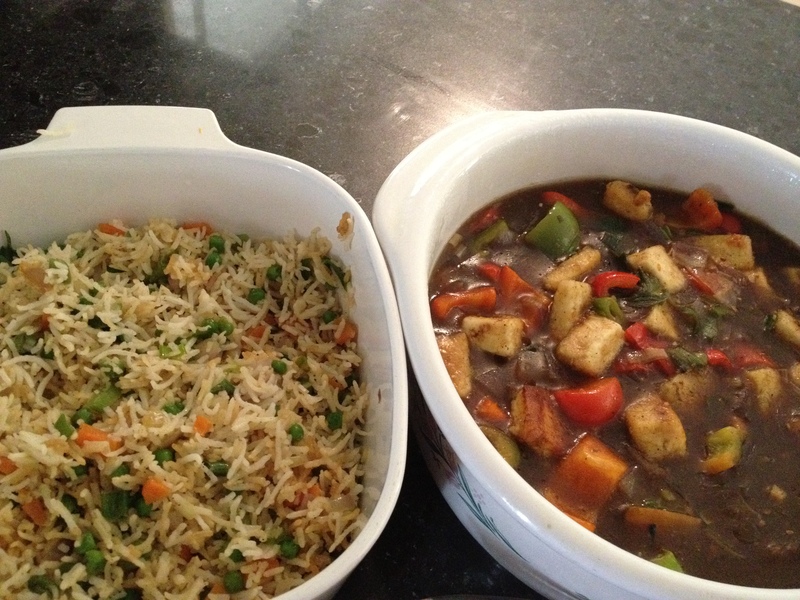 Also, nice chili paneer…what a tasty dish! Nice review. That sure is a lot of food, but at that price, I would expect it. The desserts look wonderful, I would assume you had one of everything? Swiss Hotel is a very good chain and their restaurants are generally quite good too. what a fun post! sounds like you had a wonderful time there with your parents. 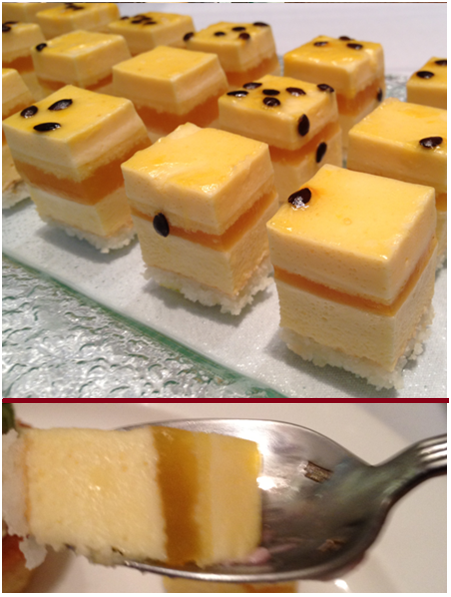 the passionfruit dessert looks beyond delicious – wish i could have been there to try it! Great review – I think you have a future! 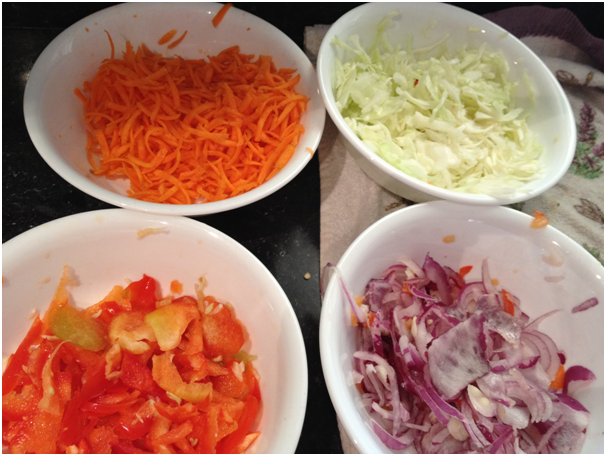 Also, your Chow Mein recipe is much appreciated – I will be making it soon after my next grocery shopping trip! Allen. And your Mums lo mein looks SO GOOD! sounds like a perfect afternoon tea! Love the dessert table! The chowmein looks fantastic. Thank you for sharing your mum’s recipe! 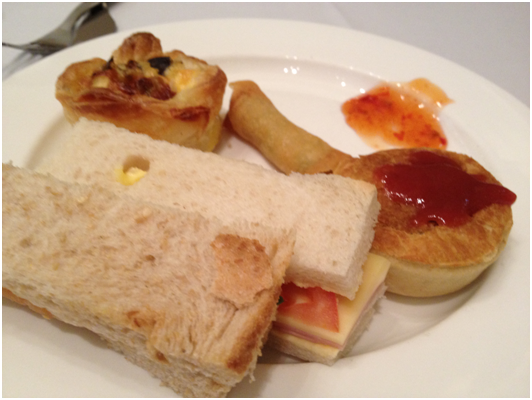 I didnt enjoy swissotel at all .. the tea selection was pitiful! That’s a shame, I think the tea selection was fine – maybe a revisit is in order! I promise to try out that recipe ASAP too. It looks great! Let me know if you try it and I hope you like it! i love the review..i mean what’s not to like, it has everything!!!! You have some talent in reviews! 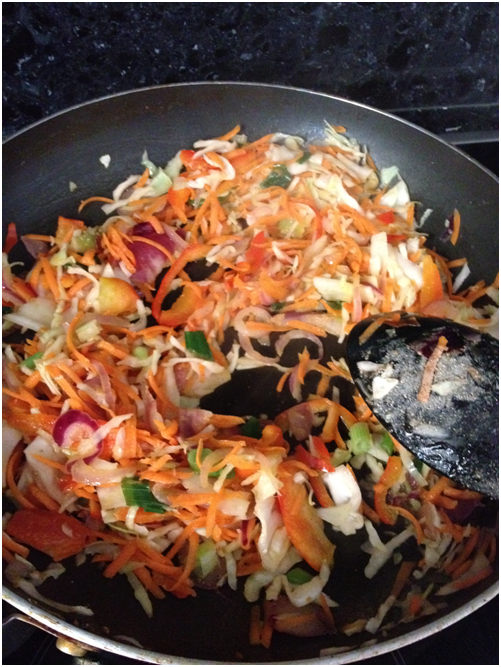 Chowmein look fantastic..great recipe! That is one big buffet! Everything looks yummy! But, your chowmein looks the best! Wow, what an amazing place and what a fantastic review of it and the food. I don’t think I’ve ever been to a restaurant like that with all those offerings. I’m jealous. Great review and congrats on doing it. I love the chowmein recipe too. I’ve never made it myself so now I know how. I will be excited too seeing the chocolate fountain and the wonderful selection of desserts! I need to fly to Sydney now! Fun post – I enjoyed the review. Sounds like you had a terrific time, although it’s not cool not having signs identifying what’s in the various dishes. And a savory recipe from you? Are you feeling quite well? 😉 But it’s a nice recipe, and a nice change of past. Good writing, good post – as usual! Thanks. You had me at chocolate fountain. Great review! Where did you put all that amount of food? Everything looked so delicious, great review. Great Review, the food looks delicious! 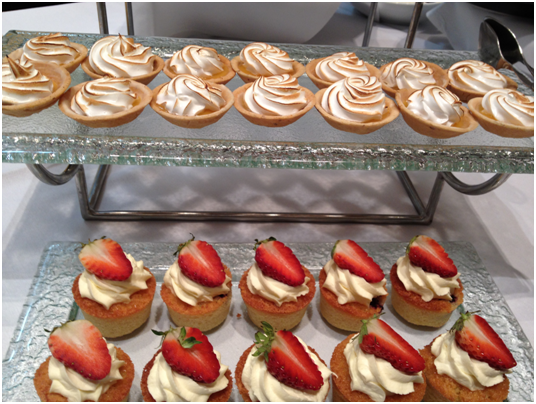 I really wish I could visit that buffet, everything looked expertly put together! Your recipe looks wonderful also! Wow! There is too much deliciousness on this post. I’m always meaning to go for high tea. But wow, this looks just too good. I was excited for you the whole way through this post. The chow mein looks delicious too 😉 I don’t know the last time I’ve had chow mein, and I have also never made it at home! My to-do list! It’s too long, I can’t find the end of it!! I so want to come to one of these. That’s quite a spread. Love, love, your undercover work! I wonder what they were thinking as you snapped all those pictures? 🙂 Great review – that dessert area and fountain would definitely be my favorite place! Lovely review! We have a Swissotel here. I’ve never been in it, but if they have billions of mini desserts too, I will certainly check it out! What a fun idea to post a review. Great job! And love your Chowmein too! Yum!!! Great job! I always want to do reviews but I feel so awkward with my camera in the restaurant. 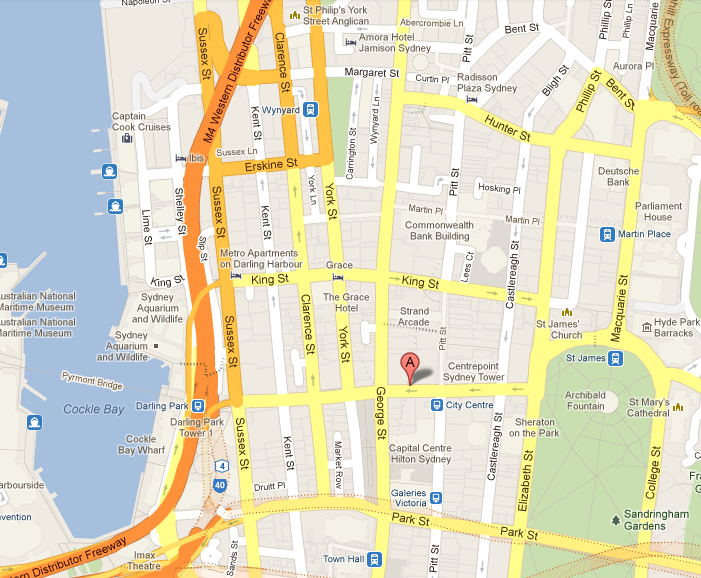 Hmm, with this new series, I will have to start a little folder of “places to eat in Australia”…. (of course, I will have to find my way there first :P) Lovely post and well written up too….much enjoyed! What a fun review! I may have to do the same here in Chicago even though tons of people have reviewed all the afternoon tea places already. 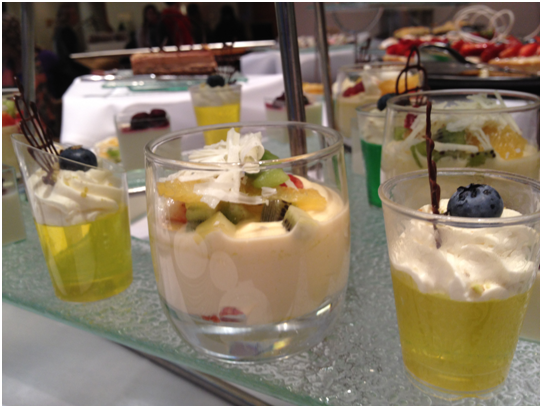 Have you ever checked out the Adriano Zumbo dessert Sushi Train at The Star? Lots of fun!!! What a fabulous review! 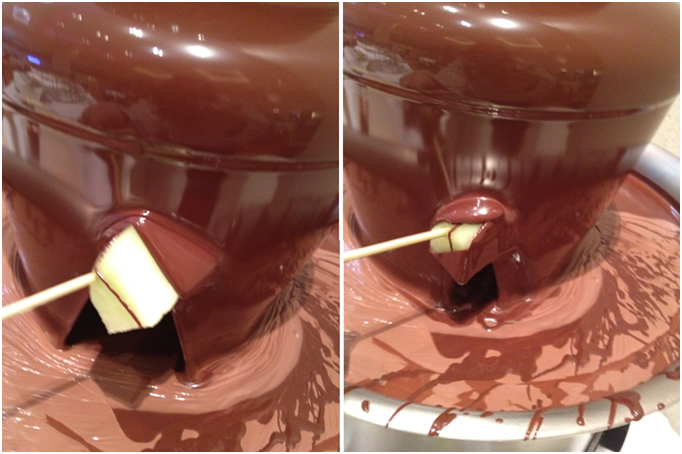 Although now I want to bathe in that chocolate fountain. 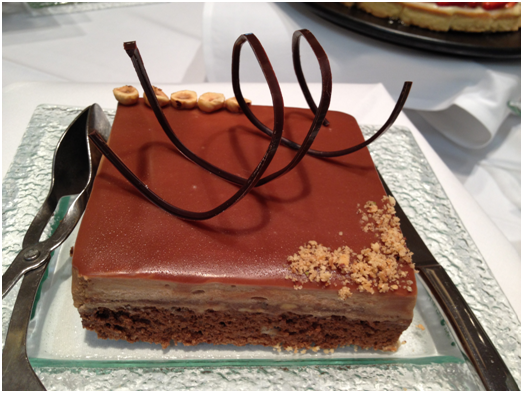 o gosh…I am in dessert heaven! And I want to swim in that chocolate fountain! Great review, and how nice that you went with your parents! I’d be tempted by those lovely-looking scones. What a great spread of food! That chocolate fountain looks amazing! Very cute post :), the food looks like it was yummy. Looks like we have lots of exciting culinary adventures ahead as you assume your new roll of roving reporter. You must have been drooling at all of the desserts at this restaurant. Nicely done CCU! What fun! I love the way you’ve set the scene and introduced this review. It sounds like an exciting diversion, and so novel. 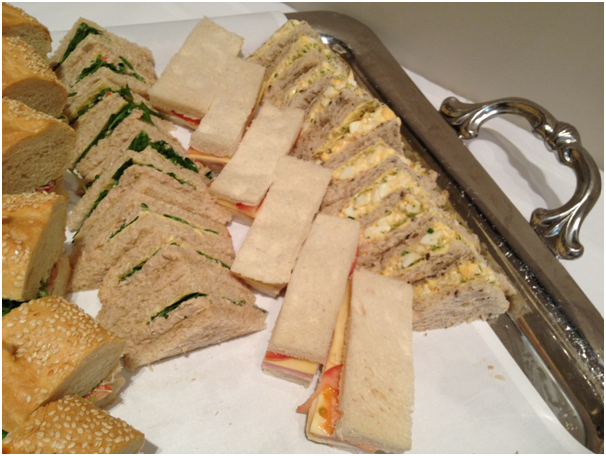 Gotta love those adorable tea sandwiches and sweets! That sounds like a fantastic review. Your veggie plate has some awesome picks but i would love to try a bite from every dish. By the way how did you know the lamb kebob was chewy. Aren’t you vegetarian? Your savoury dish is tempting me to make this tonight. It was nice to see another savory dish on your blog. Change is always good , I ‘ll be looking forward for some more like these. Very well done review, considering it was your first. I can’t wait for the next one. 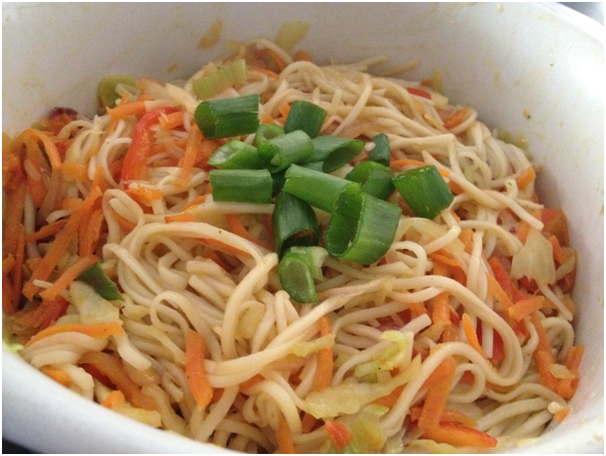 Love mum’s veggie chowmein — looks delicious! The chocolate fountain looks amazing! I just made fried rice, and now I’m craving your chowmein! Great review… so much yummy food. 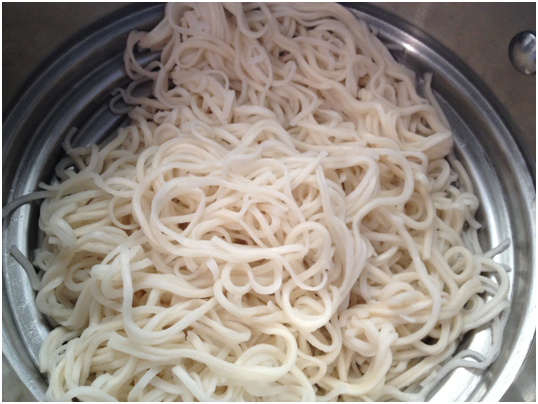 And the noodles look delicious. I love the chowmein recipe!Looks so so good and that chilli paneer looks mouthwatering too :)Hope you’re having a great weekend! Bravo, I am glad you got out and did a review and what a delicious one it was. Sadly, the hubs has banned my camera attendance in restaurants.! I enjoyed this one, so I encourage you to keep up with the reviews. Also, nice to always be able to come home and create something tasty as well. The chow mein looks yummy! Banning a camera? That is so unfortunate my friend – I could imagine you writing amazing reviews! Excellent review Choc Chip Uru. 🙂 And great pictures and storytelling too. Those desserts look fantastic. Too bad they didn’t bother to label things. I also prefer to know what I am eating. The review was lovely and detailed while the recipe was great, as always. Now, if you could just photograph a recipe for that wonderful red dipping sauce that was on the plate with the spring roll, I would be in heaven! I love that stuff and given my limited abilites, cannot figure out what’s in it or how to make it! An amazing post with so many lovely dishes reviewed. 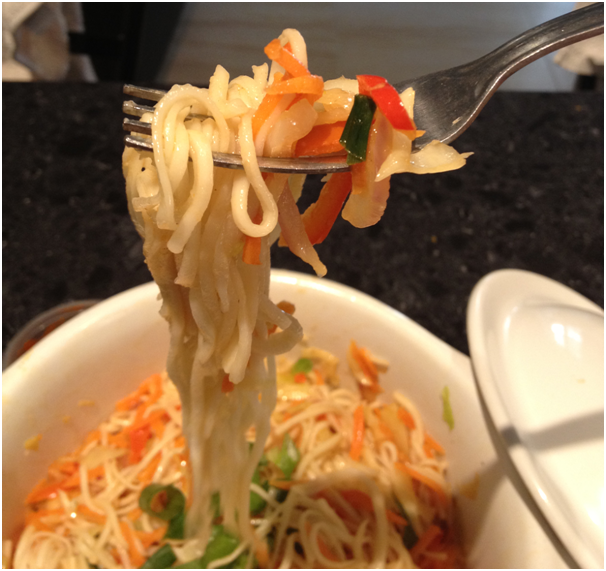 And, of course, your own noodle dish. Unfortunately, the background you use makes reading a definite strain on the eyes especially trying to read the white on white text, so after a while, I have to stop. 😦 Great pictures though. Buffets are fun, it’s nice to have so many options 🙂 The food all looks lovely. Love the undercover thing. Very fun! It looks like it was a great spread. I’d be all over those strawberry desserts! I can always try, believe me, I will always try to remake them! of course! 🙂 hope to try some homemade ones one day! Undercover CCU was fun! 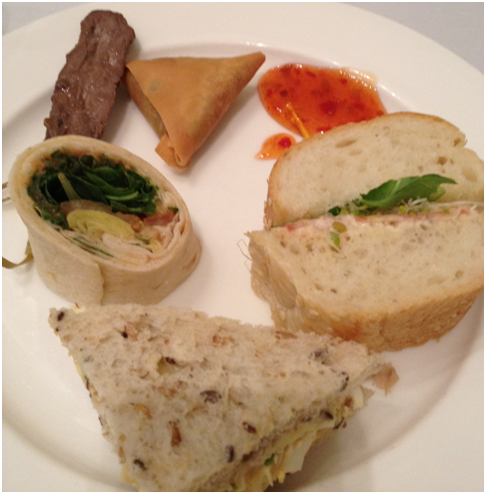 Between the photos, descriptions and linked reviews I got a sense of the range of the high tea. Was the problem with the cream that it was unsweetened? I imagine that was to provide a contrast to all of the sweets. The restaurant looks fabulous! But your chow mein looks even better!!! YUMMM! hahah I love your ‘under cover’ investigation! That dessert buffet looks amazingggg! I would probably just skip the main course 🙂 I’m surprised they don’t label the food?? HOW FUN! 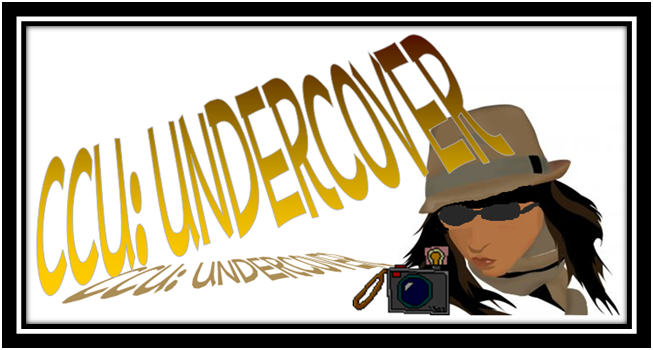 Love the CCU:UNDERCOVER graphic. Awesome review! Whoa! So much going on here, my dear!! 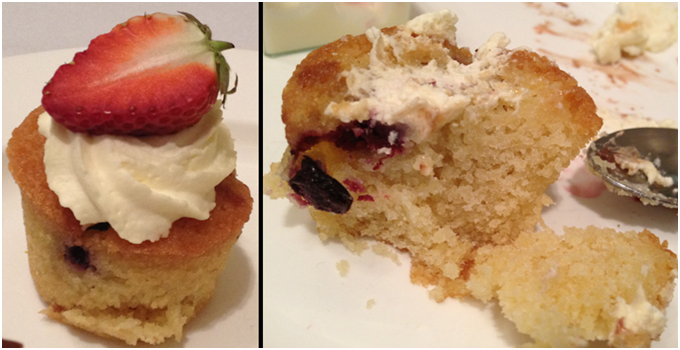 Well – I must say: it was a dirty job, but someone had to get in there and sample EVERYthing and report back! Lucky for us you made it out alive to share what you experienced. What fun!! Here’s to many more reviews to come. What a great review! I also call my dad Daddykins and my mom Mommykins! Look at you, being all stealthy! Enjoyed the post…well done Undercover CCU! CCU, although your blog is perfect as it is, I’m loving that you’ve decided to branch out and try other scenarios. Thanks for giving the minuses along with the plusses of your high tea. So many excellent photos. Love your savory, tasty recipe at the end. Another great offering for us, your devoted readers. You’re too funny! Love that intro! Love the review and photographs. Its really a treat to the eyes. fun review- I loved your intro!! Covert! 🙂 Also, a great review – and I agree, a pet peeve of mine is when there are no names and signs to tell you what you are eating in a buffet or similar layout. 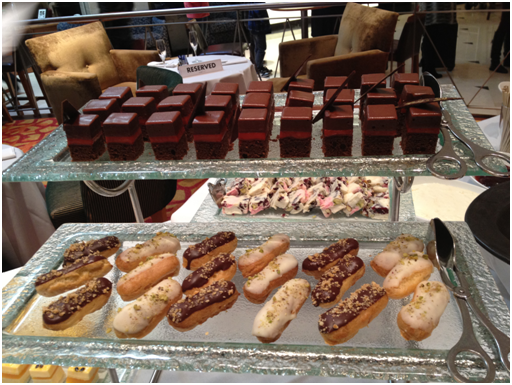 That said, that looks like an amazing selection (in particular, the desserts – swoon!). Okay… where is this place located… Heaven? 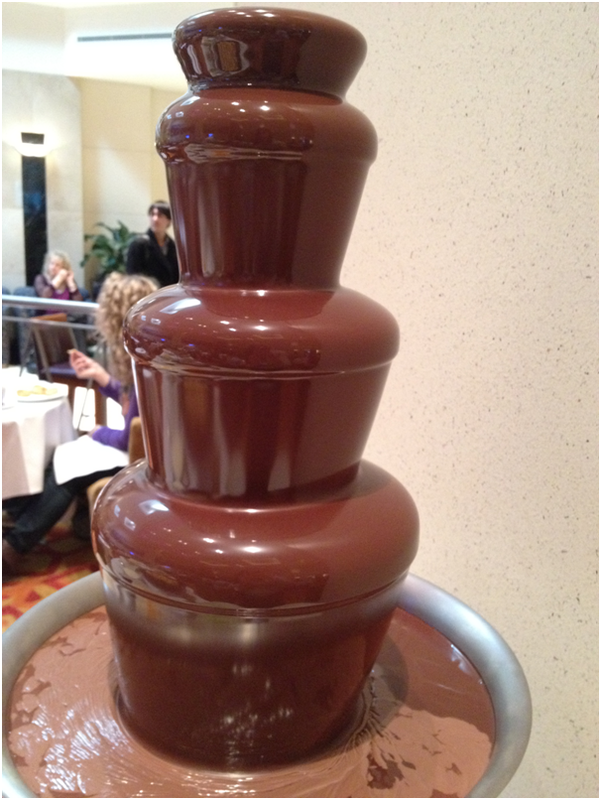 I love that they have a chocolate fountain… slurrrrp! I would definitely go into sensory overload with all the little selections they have…. I would have to try everything. Sorry the service was a bit slow… that always makes thing a little annoying. But all in all it looks Fabulous! I totally agree with your rating. Now onto the chow mein! Fantastic recipe by your mother. 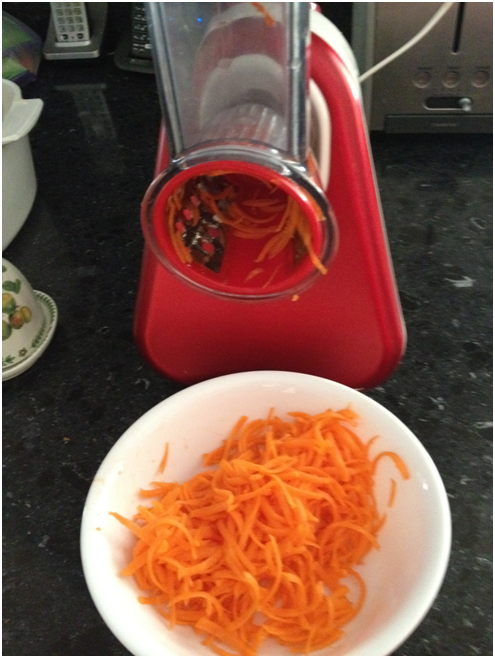 🙂 I love the carrot gadget… very cool. 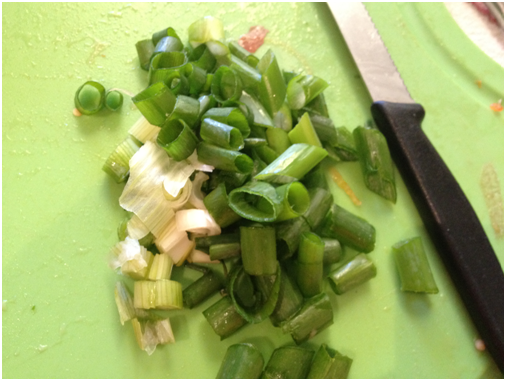 I’m a total kitchen gadget girl… to my husbands dismay. 🙂 Great review …. you’re born to do this my friend!! Well done!! And I keep emailing foodbuzz so fingers crossed my friend! 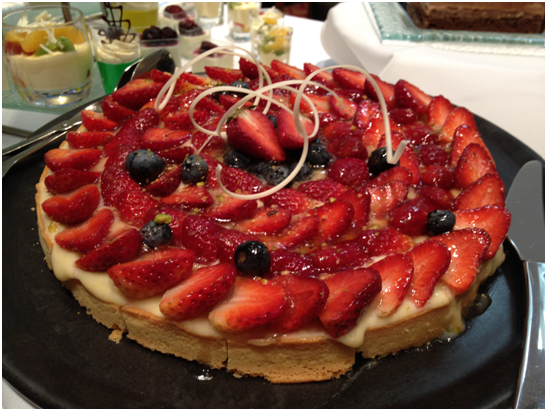 I am going to close my eyes to the desserts and its all the savoury food I am drooling over. Of course that includes the veg chow mein. 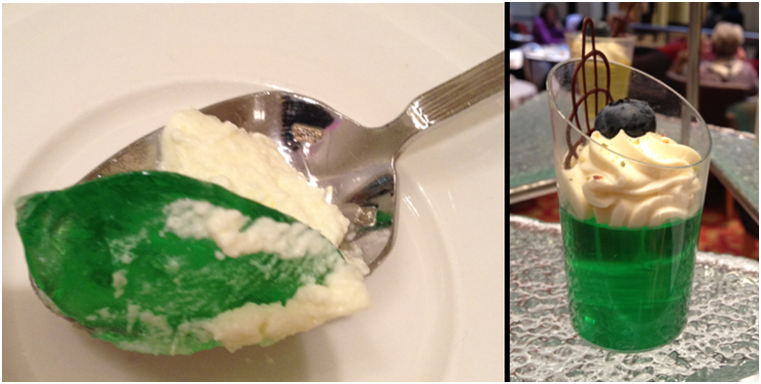 As you know, I am not a dessert person so this is a post I am all excited——– the savoury food all the way. I’m with you on the labels things- when a self-serve buffet type thing doesn’t label things I’m so lost! It really makes things difficult for people with allergens to begin with, and I also like knowing what I’m eating! Stunning photos – and loads of calories again – love you !!!!! The chocolate fountain I wouldn’t go close …. loads of bacterial – mini wraps my thing. 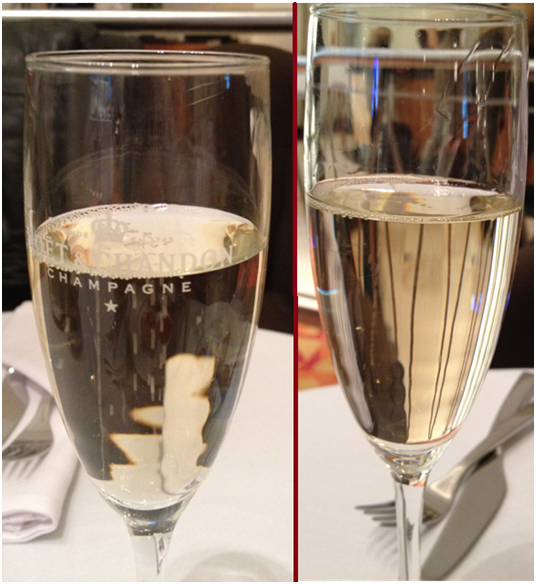 I will go for your noodles and the champagne, thanks – very good post !!!!! What a fabulous spread but disappointing that nothing was labelled, as it’s ever more important for people to know what they are eating. I like a straightforward review that tells it as it is – not that I’ll ever be able to act on your reviews being on the other side of the world! An interesting new direction for you. 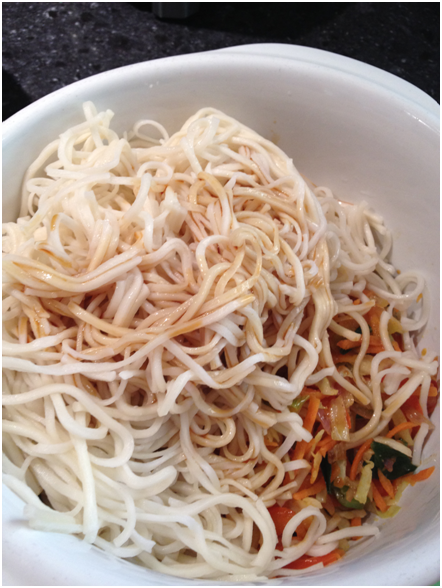 Gorgeous chow mein – on my meatless whatever day this week! Afternoon Tea is such a great concept – it’s for people like me who are too lazy to get up for Sunday Brunch 🙂 There seems to be lots of variety at the restaurant and I’d be very happy with a 70% cocoa solids chocolate fountain but probably not kid (or in your case, parent) friendly. Whoaaa!! Look at all that food!! I’m getting super hungry just looking at them… Can’t help….!! haha.. Looking forward to more! Sounds like a very comprehensive review :). I also get a tad annoyed when there are no signs or tags to tell you what you are eating! 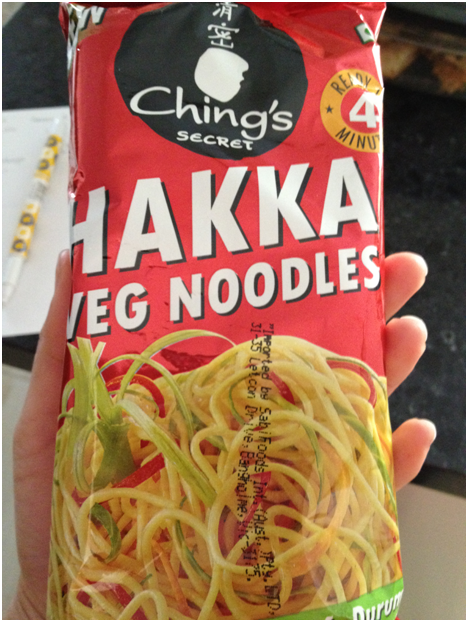 That vegie Chowmein looks pretty good too! Looking forward to more of your undercover stories :).